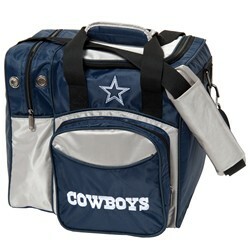 Support your favorite professional football team with one of the KR NFL Single Tote bags. This single tote offers plenty of room for a ball, shoes, and accessories. And the vibrant colors will leave no doubt as to which team you root for! Shoe Compartment: Separate side shoe compartments holds up to size 14 shoes. Hello! Unfortunately, bowling.com does not offer engraving or embroidery added onto products. You can take it to your local embroiderer and have them monogram it for you. 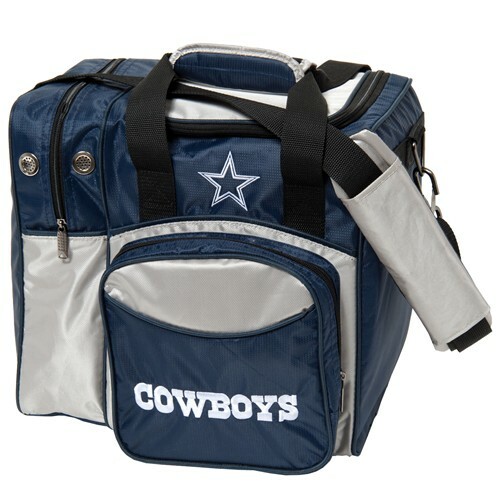 Due to the time it takes to produce the KR Strikeforce Dallas Cowboys NFL Single Tote ball it will ship in immediately. We cannot ship this ball outside the United States.